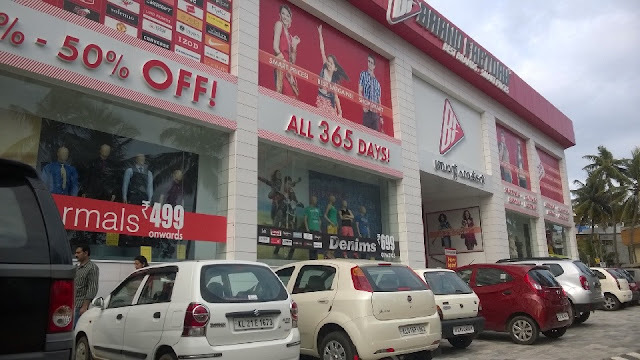 Brand Factory, located at Keston Road provides clothing and accessories of all the leading brands of men, women and kids for a discounted rate 365 days a year. Leading brands available at Brand Factory Trivandrum include Arrow, Zod,Provogue, Indigo Nation, Scullers, Basics, John Miller, John Players, Levis, Wrangler, Lee Cooper, Pepe, Rig, Umbro, Bare, W, Srishti, Ethnicity, Vera Moda, Chemsitry, Jealour21 and lot more. The Brand factory offers discounts from 20% to 70% on all items.